Welcome to the NINTH episode of $20 Challenge! 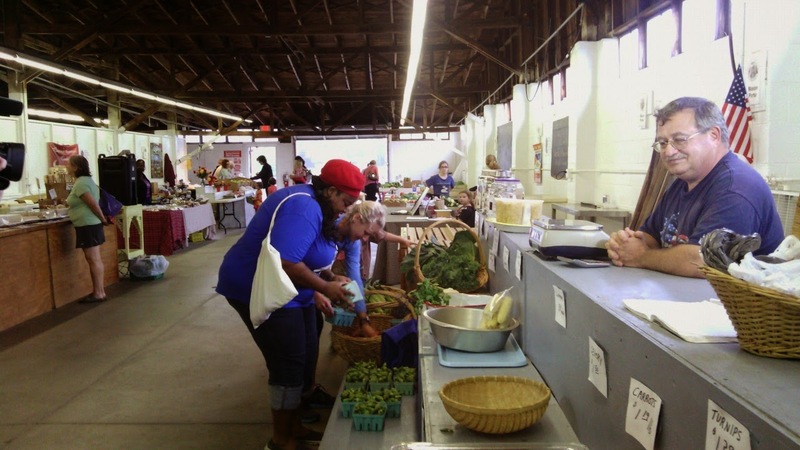 To prove that you can eat locally grown food AND stay within your grocery budget, the Dixie Classic Fair Farmers Market and the City of Winston-Salem is sponsoring the $20 Challenge twice a month through September 2014. September is the last month for the $20 Challenge in 2014. As a matter of fact, this episode is the last episode of the season. I'm sad yet glad it's all over for now. Waking up early on Saturday mornings and not knowing what I was going to cook week in and week out was a little taxing on my foodie brain. Everyone from the producers, production crew, farmers, vendors and customers are probably all glad it's over too. What I'm really excited about: planning for next year. We did an amazing job this time around and next year--who knows what's in store for us! A ragu or a ragout is typically a meat sauce cooked down with vegetables. It doesn't have to contain tomatoes and mine simply has a few for flavor and to add a little color and a little acid to the dish. In a large skillet, heat 2 Tablespoons olive oil over medium high heat. 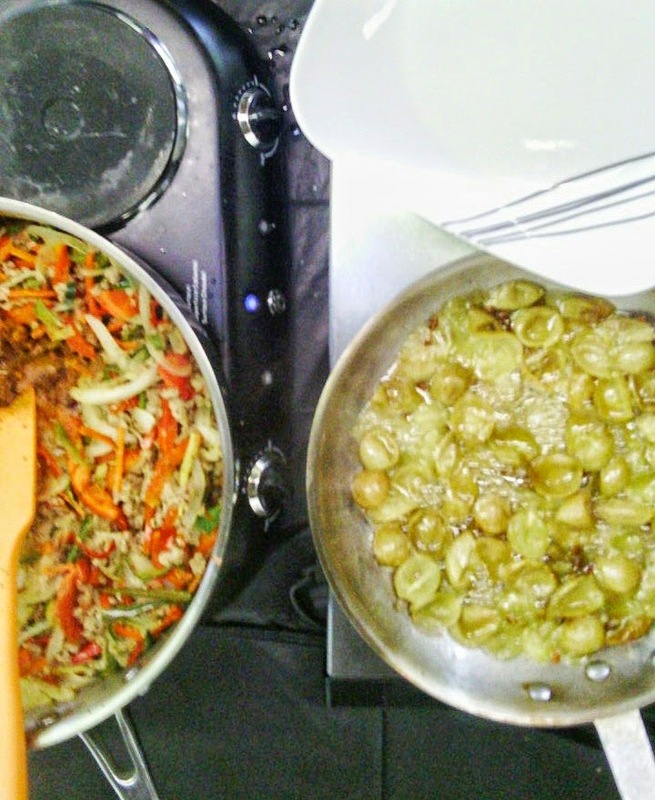 When the oil is shimmering, add onions and peppers to the pan. Saute for 8-10 minutes, until onions are translucent and peppers are wilted. Add chopped tomatoes and cook the mixture for an additional 3 to 4 minutes. 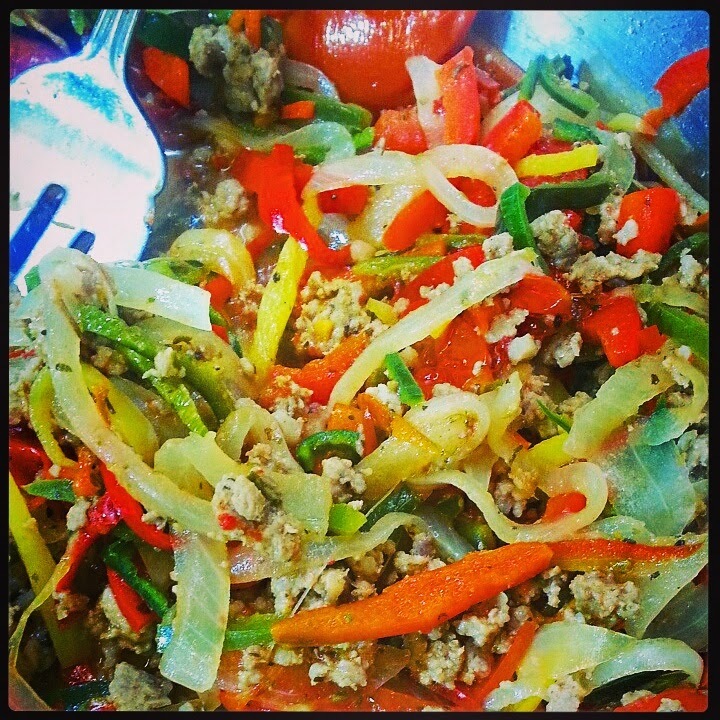 Make a well in the center of the peppers and onions and place ground sausage in the center of the pan. Use a spatula or fork to break up the meat and brown the meat. 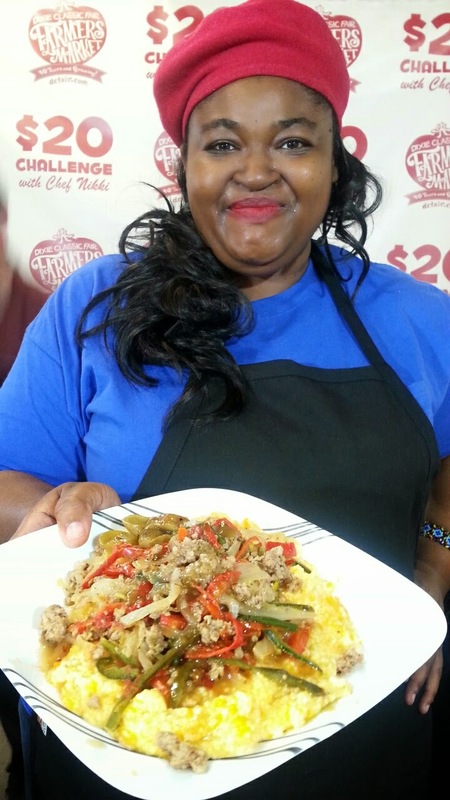 Once cooked through and no pink remains, mix the peppers, onions and sausage together. Remove the pan from heat and set aside. 'Tis the season for pumpkins and squash. I have a confession: I CANNOT STAND PUMPKIN. I stay away from it at all costs. No PSL, no pumpkin spice or anything in my life. But I know it's not always about me and I acquiesce to the onslaught of pumpkin each year, until peppermit takes its place in December. In a small saucepot, bring 2 cups water to a simmer over medium heat. Whisk in grits. Lower heat to medium-low and cook, whisking frequently, until grits are almost tender, about 4 to 5 minutes. Add half the butter to the pot and stir it in. If the grits become too thick, add water ¼ cup at a time. Stir in cooked, diced pumpkin 1 to 2 minutes before grits are done. Use a whisk to break up and mash the pumpkin into the grits while stirring. Finish cooking and remove from heat. Stir in additional butter and keep warm. A gastrique is a sweet and sour sauce made with caramelized sugar, fruit and vinegar. It's the perfect foil to fatty meats and gives a perfect contrast to spicy elements on a plate. Place the grapes in a skillet over medium heat. Sprinkle sugar over grapes and pan-roast for 15 minutes, until they release juice and become noticeably deeper shade of green. 2. Add the vinegar and continue to cook, swirling the pan a few times, for about 5 minutes, until the sauce has thickened to the consistency of thin maple syrup. If the sauce is too thick, add water or stock 1 Tablespoon at a time, continuing to swirl the pan. 3. Remove from heat and add a good pinch of both salt and pepper. Strain out grape seeds and serve warm.